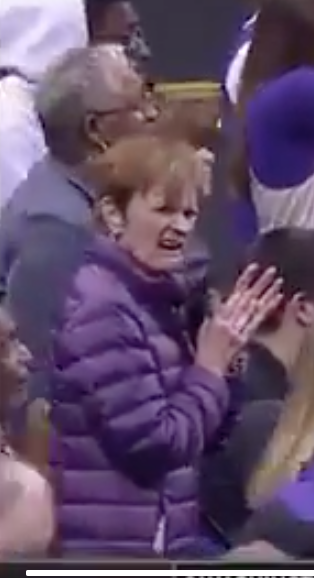 This lady isn’t thrilled with people dancing ?? I can’t stop watching this on loop and laughing. I mean she is absolutely so upset that anyone would ever have the audacity to dance or celebrate. Look at this face. She’s absolutely disgusted. If she’s not aware Matisse lost his dad when he was 17 and his dad is always in the stands to make sure he supports. Here’s one clip of him during the game. Keep on dancing Mr.Thybulle!